Another surprise Marvel superhero series! That’s the official word at this point; the streaming service is preparing to develop a spinoff revolving around the character of The Punisher (a.k.a. 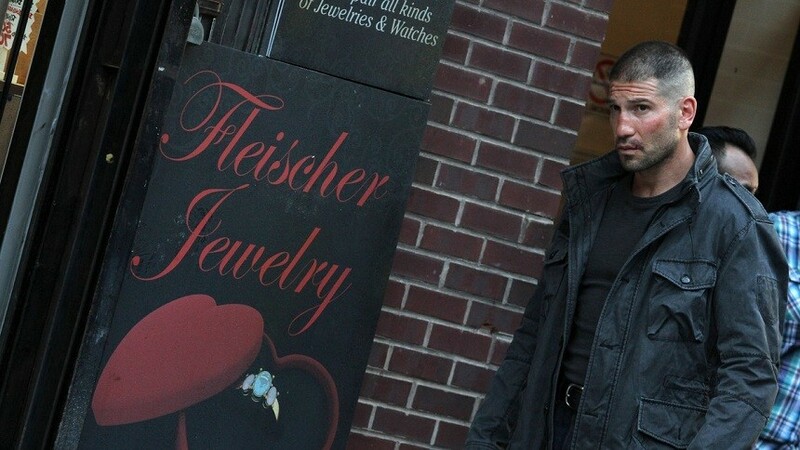 Frank Castle), with actor Jon Bernthal reprising his role as the famous vigilante. While Bernthal technically hasn’t appeared in any Marvel on-screen canon, the Punisher is already slated to pop up in season two of Daredevil, which will be streaming on Netflix beginning on March 18. As of this posting, both Marvel and Netflix have declined to comment on the announcement. At this point, I doubt fans would have any issue with Netflix adding another superhero show to their current line-up–the current listing stands now at five shows (Daredevil, Jessica Jones and the yet-unaired Luke Cage, Iron Fist and The Defenders crossover series). Many people are also naming director Lexi Alexander as an option to direct the series, since she’s got several superhero movies and shows in her back pocket–including a Punisher movie AND an upcoming episode of Supergirl. We could definitely get behind that. What do you think about this news? Would you be psyched to see Frank Castle starring in his own show?